The robot described and built in this book is battery powered and about the size of a lunchbox. It is autonomous. That is, it isn't remote controlled. You'll begin with some tools of the trade, and then work your way through prototyping, robot bodybuilding, and eventually soldering your own circuit boards. 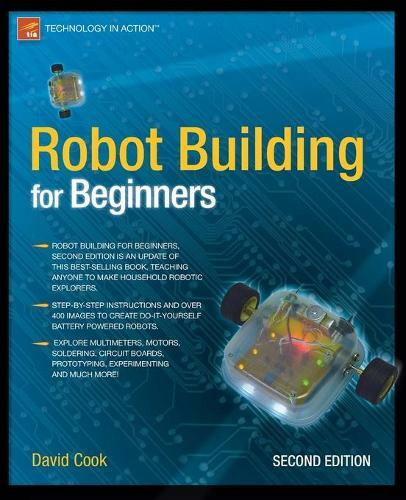 By the book's end, you will have a solid amateur base of understanding so that you can begin creating your own robots to vacuum your house or maybe even rule the world!